Viacom President and CEO Philippe Dauman hauled in $44.3 million in 2014, the company revealed in a Friday SEC filing. That total is $7.1 million more than his total take in 2013. Meanwhile, company founder Sumner Redstone brought home far less in 2014 than he did in 2013: $13.2 million versus a year-ago’s $36.2 million. Dauman can credit his extra cash this past year to over $2 million more in stock awards than 2013, $1.5 million extra in options, and $3.1 million more in an incentive bonus, among other less material (at least when you’re making what Dauman is) year-over-year increases. Last week, the chief executive extended his Viacom contract through 2018. The same day, the company announced a quarterly dividend for its shareholders. For Redstone, a minor salary bump and better bonus was nothing compared to the near $25 million less in his pension valuation and deferred compensation versus 2013. The Viacom Inc. 2015 Annual Meeting of Stockholders will be held on Monday, March 16 in Miami, Florida, the company said in Friday’s definitive proxy filing. Fiscal 2014 was a good one for Viacom, the company reported record profits in November. 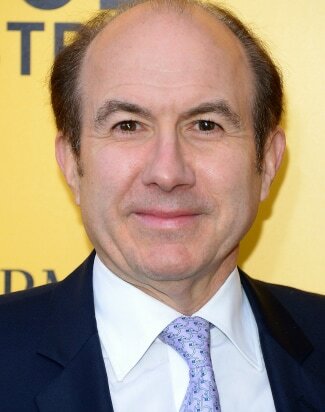 At the time, Dauman credited “TMNT” and “Transformers” for the company’s overall financial success.